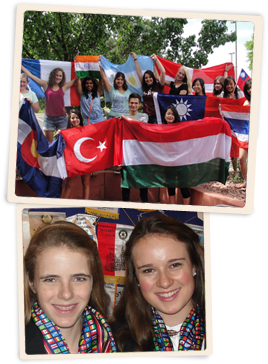 Mountain & Plains Rotary Youth Exchange (RYE) Program works in Rotary International District 5470. The Mountain & Plains region roughly comprises the southern two-thirds of Colorado. Geographically, this area is located in both the beautiful Rocky Mountains and the southeastern and western plains of Colorado. Mountain & Plains RYE provides an opportunity to eager, ambitious high school students - both for foreign students to come to our area to experience American life, and for American students to go abroad to one of about 20 countries around the world. Mountain & Plains RYE has been building cross-cultural ties and creating international ambassadors of goodwill and understanding since 1992. 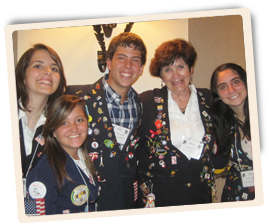 Mountains & Plains RYE students – whether Inbound or Outbound – will attend a local high school and will be expected to participate in their school academically and in their local host Rotary Club’s activities and projects. They will also be expected to be involved in community endeavors, such as sports, volunteer projects, cultural events or other peer-typical activities. In most cases, high school classes begin in late August and end the first week of June, at which time students typically return home unless they choose to participate in one of several RYE-sponsored summer trips. All students who participate with Mountain & Plains RYE are hosted by families chosen and vetted by their hosting Rotary Club. Our exchange students are not long-term guests in the home, but rather fully integrated members of the family, with all the joys, comforts and responsibilities that any family member could expect. In the words of Dennis White, Ph.D., Chair of YEOResources.org Editorial Board, Rotary Exchange Students are Rotary's "Temporary volunteer employees 'hired' to represent Rotary internationally as we try to deliver the 'product' of peace through international goodwill and understanding." We hope you will join us in building a more integrated global community–be it as an exchange student, a host family, a sponsoring local Rotary Club, or as an exchange partner abroad.